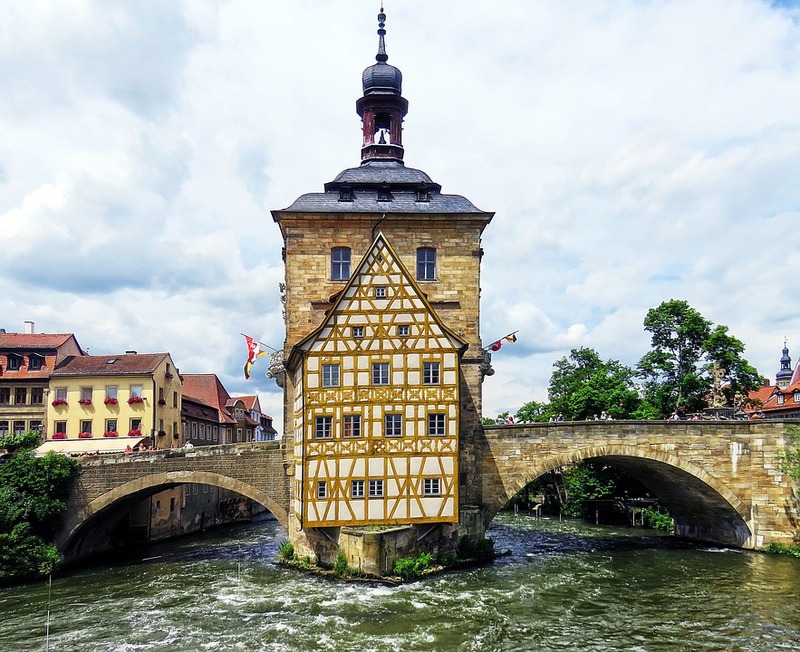 Bamberg is a town in Upper Franconia, Germany, on the river Regnitz close to its confluence with the river Main. A large part of the town has been a UNESCO World Heritage Site since 1993. 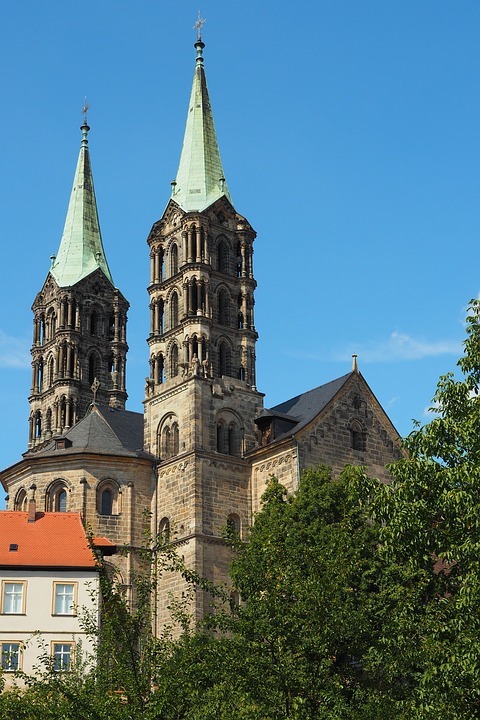 Bamberg rests on seven hills, each crowned by a beautiful church. 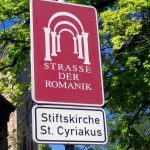 This has led to Bamberg being called the “Franconian Rome” — although a running joke among Bamberg’s tour guides is to refer to Rome instead as the “Italian Bamberg”. The hills are Cathedral Hill, Michaelsberg, Kaulberg/Obere Pfarre, Stefansberg, Jakobsberg, Altenburger Hill and Abtsberg. 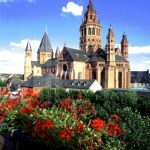 Dominated by its imperial cathedral, the town is a listed ensemble of medieval and baroque architecture. 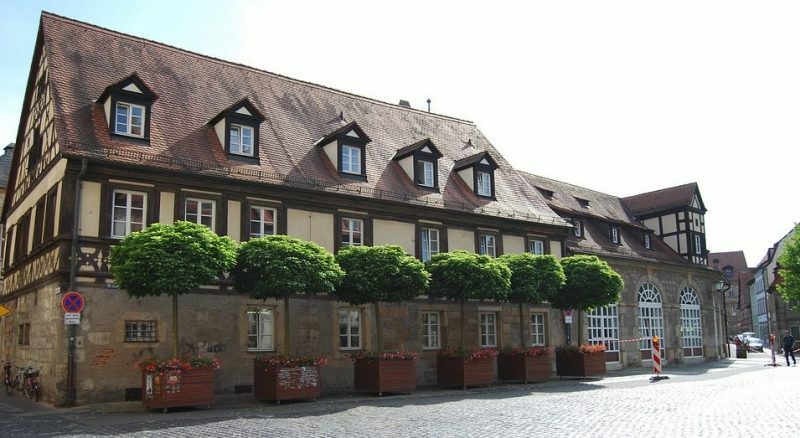 Bamberg’s well-preserved old town comprises three historical centers – the episcopal town, the island town and the market gardener’s town. With its four towers, the imperial cathedral of St. Peter and St. George is the most prominent building. Inside is the Bamberg Rider, the tomb of Henry II and Cunigunde – the only emperor and empress to be canonized in the Holy Roman Empire. 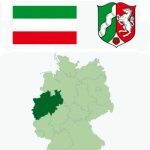 It is also home to the only papal grave in Germany – that of Pope Clemence II. 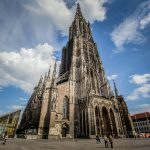 The whole cathedral square is spectacular – with the Romanesque-Gothic cathedral, the magnificent L-shaped design of the baroque New Palace and the Alte Hofhaltung Palace with elements from the late medieval and Renaissance periods. 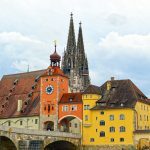 Other attractions in the old town include the town hall lapped by the River Regnitz, the rose garden with a view of the old quarter and beyond to St. Michael’s abbey, the tanners’ cottages by the old canal, the mill district and the fisherman’s village “Little Venice”. Whether it’s true or not, there’s a fun back-story to Bamberg’s fabulous, fresco-covered old town hall: In the 14th century the Bishop of Bamberg refused to allocate land to the city’s residents for a town hall, so they decided to build it on stakes in the River Regnitz, at the boundary between the episcopal and merchant city. The first reference to the town hall is from 1387, and the building was given a Baroque update in the middle of the 18th century. That was when its famous frescoes were painted, and you have to try to spot where a sculpted cherub’s leg pokes out of the mural in 3D. Inside you can view the splendid Rococo Hall and the Ludwig Collection of fine porcelain. 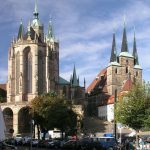 Founded by Holy Roman Emperor Henry II in the early 11th century, Bamberg Cathedral has extraordinary Medieval architecture and priceless works of art. Outside the cathedral has four towers, and that symmetry continues below where there’s a choir at each end, the eastern one Romanesque, and the western Gothic. 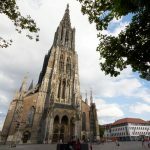 A must-see is the tomb of Henry II and his wife Kunigunde, carved from Franconian limestone across 14 years by the Renaissance master Tilman Riemenschneider. Close by, atop a column is another staggering work of art, the Bamberger Reiter (Bamberg Horseman). By its astounding level of naturalism you would never believe that this sculpture is from the first decades of the 13th century. 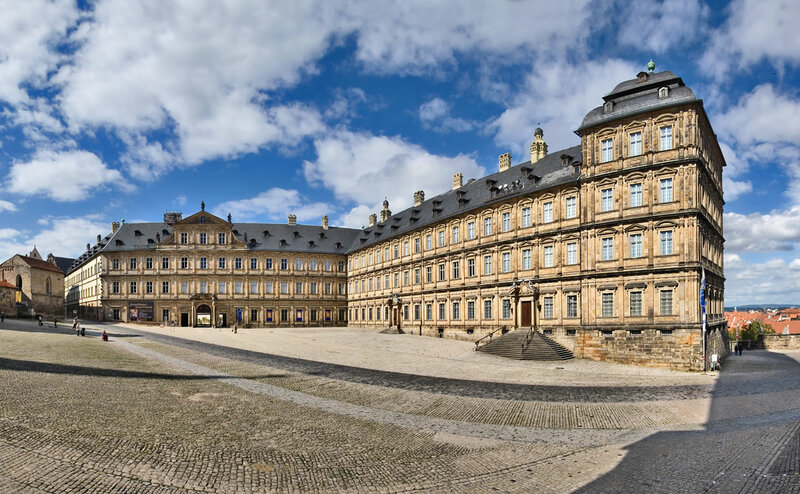 In 1602 Bamberg’s prince bishops moved from the Alte Hofhaltung to a sumptuous new palace on the other side of the cathedral square where they would stay until secularization in 1803. 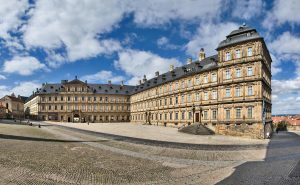 The Neue Residenz is the largest palace in the city and has two original Renaissance wings and then Baroque extensions built a century later. 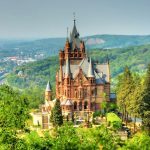 There are more than 40 state rooms to tour, including the marvellous central Imperial Hall (Kaiser Saal), embellished by allegorical frescoes and chandeliers. The palace is also a branch gallery for the Bavarian State Painting Collection, and among its most prestigious works is Hans Baldung Grien’s Die Sintflut (The Flood). 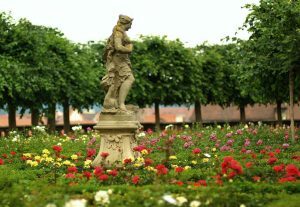 Behind the Neue Residenz is the palace’s spellbinding rose garden. This started out as a Renaissance garden, but took on in its present Baroque form in the 1730s. The Rosengarten’s regimented flowerbeds are planted with 4,600 roses and hemmed by low, closely clipped hedges. There are statues throughout, and the garden’s straight paths meet at a fountain ringed with benches and lime trees. Clipped lime trees also form the garden’s boundary, and from the balustrade to the north you can linger over vistas of the merchant city.